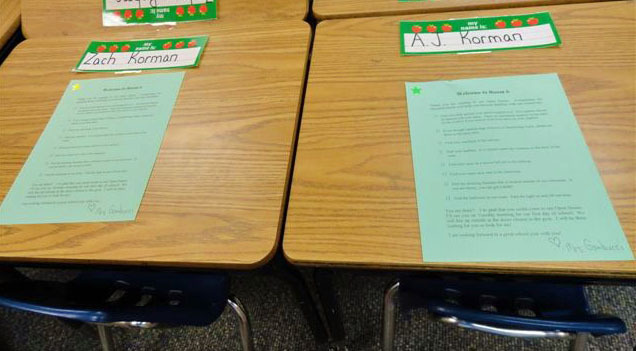 Adjoining desks.... how cute is that? This is in their 1st grade classroom, not in the autism room. So I'm not sure how much time they'll actually spend here, but I love the optimism shown by giving them little desks right in there with the rest of the class. Aww. Sweet! 1st graders are sooo cute. I hope they have a great school year.